When Jewish glassmakers and their families flee the powerful Doge of Venice, the cost of their freedom is three hundred and fifty-seven mirrors—the creation of the magnificent Hall of Mirrors in Versailles. But the Doge sends assassins to pick off the artists, one by one. Can Ruth Telfin, the mute widow of the head glassmaker, save her people? 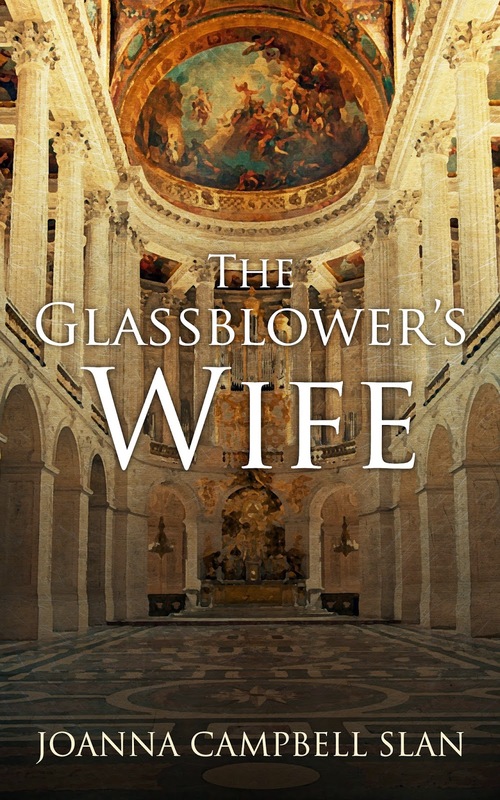 The Glassblower's Wife is a long short story about the glassmakers who created the Hall of Mirrors at Versailles. Although I love history and historical fiction, I was not familiar with the fascinating and sad background of this story. The central characters are Rabbi Saul Telfin, who is a master glassblower, and his wife, Ruth, who was born mute. I loved reading about both of them, and found them compelling both individually and as a couple. The story is beautifully told by Joanna Campbell Slan. It reminded me a bit of the fairytale-like stories of Isaac Bashevis Singer. My only complaint is I wish it had been longer; I would love to read a whole book about Ruth's life. I cannot recommend this story highly enough! Joanna Campbell Slan is the award-winning author of the Kiki Lowenstein Mysteries (an Agatha Award Finalist) and two other mystery series. Her stories in the Chicken Soup for the Soul series has been read and loved by millions. 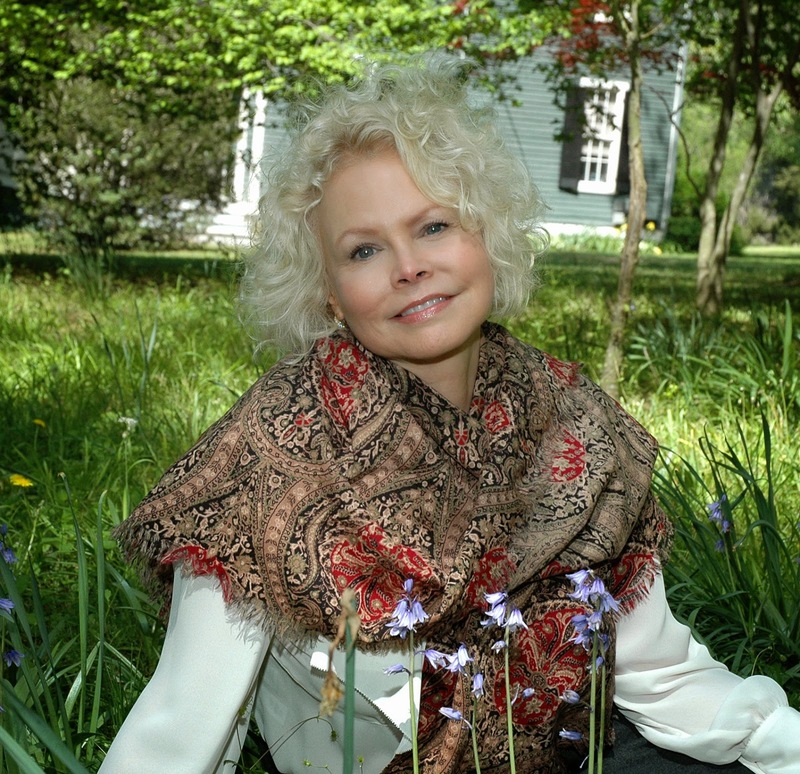 Her books reviving the classic heroine Jane Eyre have won the prestigious Daphne du Maurier Award. In her past life, Joanna was a television talk show host, an adjunct professor of public relations, a sought-after motivational speaker, and a corporate speechwriter. She is married to David Slan, CEO of Steinway Piano Gallery-DC. The Slans make their home on Jupiter Island, Florida. The author is generously offering a giveaway contest for a $50 Amazon gift card. There is also a giveaway for this tour stop. 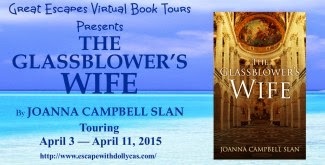 The prize is an e-copy of The Glassblower's Wife (your choice of format). I received a copy of this story from Great Escapes Book Tours in exchange for an honest review. So glad you enjoyed it. I've had several people tell me that they LOVE Ruth. Maybe she will have to make a return appearance. Joanna, thanks for visiting! I hope Ruth does make a reappearance; I would love to read more! I've seen the Hall of Mirrors in Versailles and it is magnificent! I'd probably like a historic fiction novel that features it-thanks!